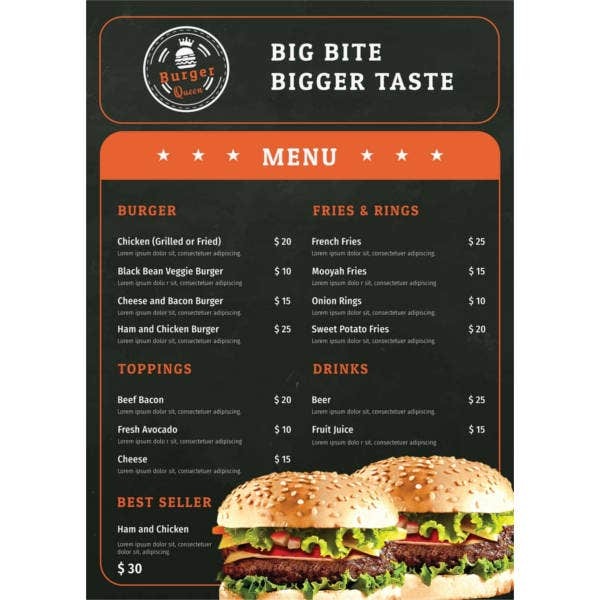 When we think of a menu, we instantly think of restaurant and cafe menus containing a list of the most delicious food items. Now although it may not seem like it, creating a menu is harder than it seems. 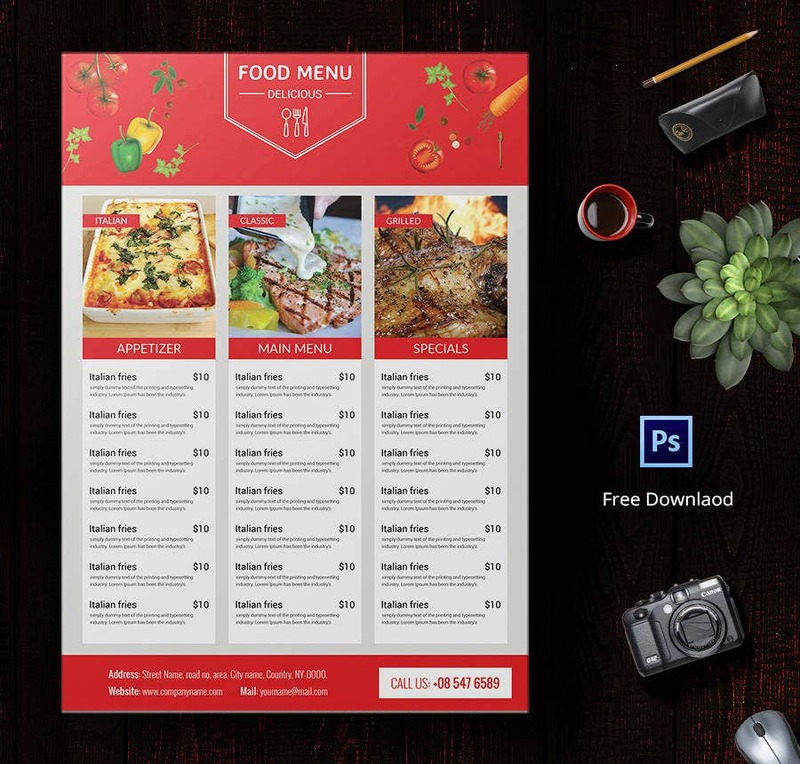 In order to design a stunning menu for yourself, you can use these menu templates. Here, you will find a wide range of templates to choose from. You can go through the templates and download the ones you think are right for you. The best part about this template is that it doesn’t add excessive design. It has space for a few images and keeps the design simple and elegant. 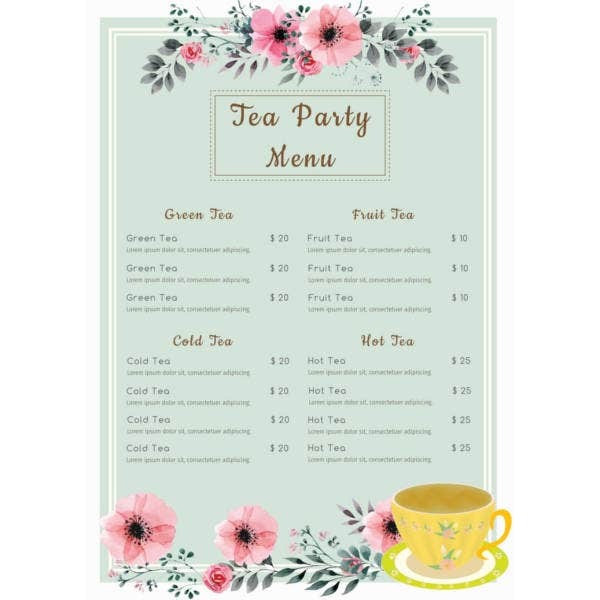 This menu template focuses more on the textual aspect than the graphics. Also, the red background adds to the overall charm of the template. It is 100 % editable and customisable. The steel grey background adds to the beauty of the template. It makes your lunch menu appear rather sleek and stylish. Plus the template comes with easy customization features. 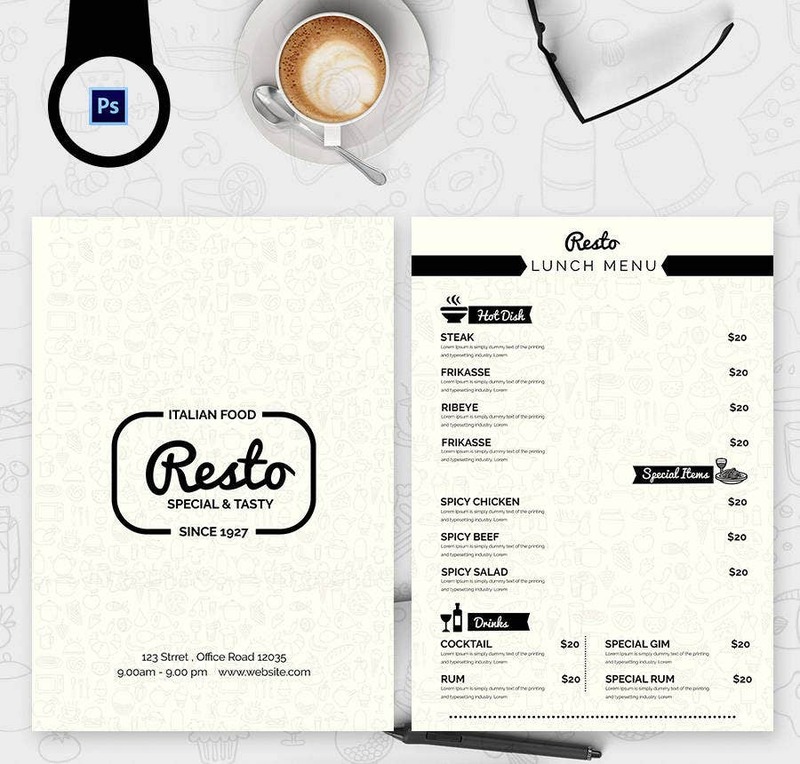 This menu template is a mockup of what a menu should look like. 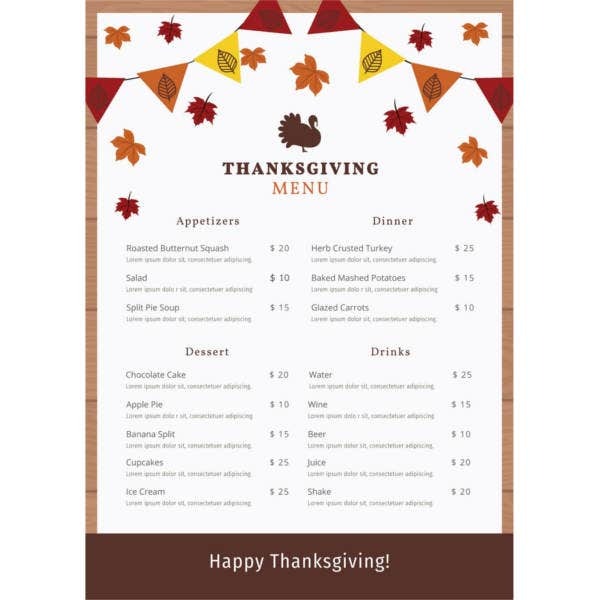 Using this as a sample, you can create a wonderful menu card for your restaurant or diner. 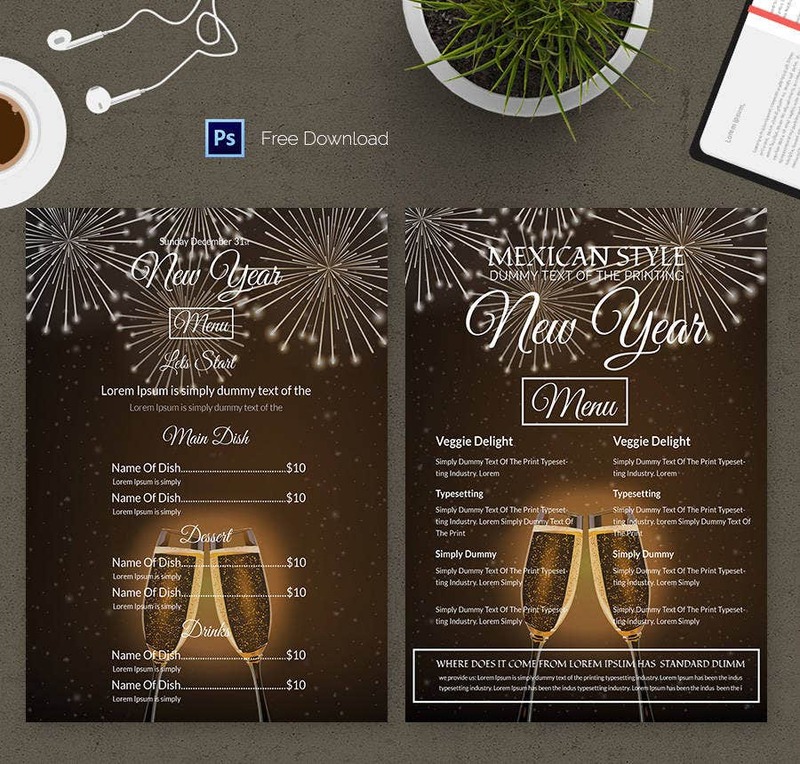 The black and gold theme makes the template look very lavish and stylish. The template is fully editable and customizable. The textual elements may be added or replaced. 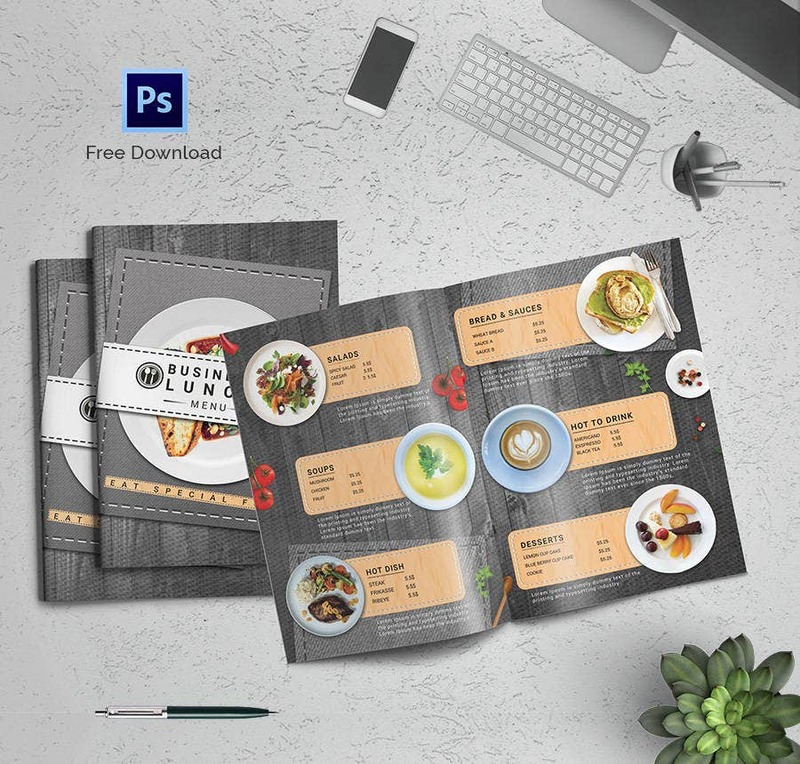 This menu template comes in a psd format which is very easy to use. 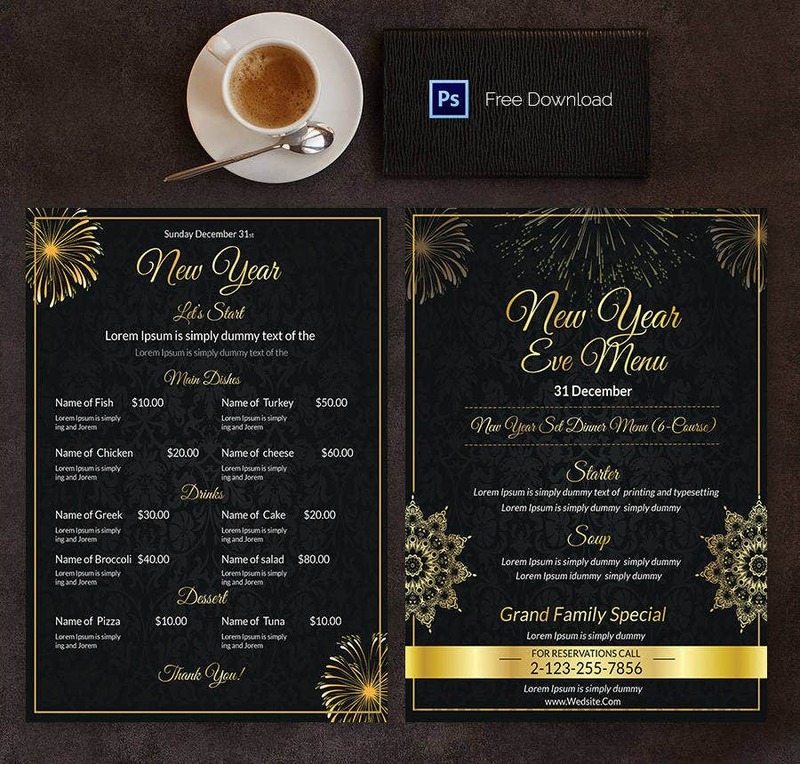 You can use this template to bring in the New Year in style. It is practical and very versatile. > How can you use the Menu Templates? 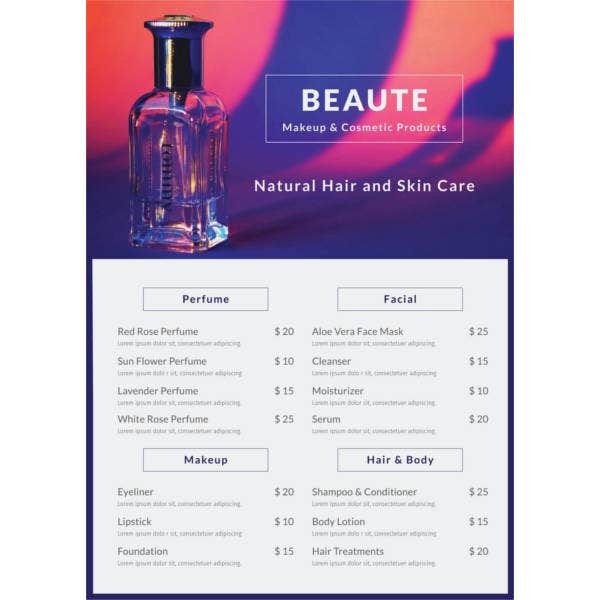 If you own a restaurant or a cafe, you will need a menu. 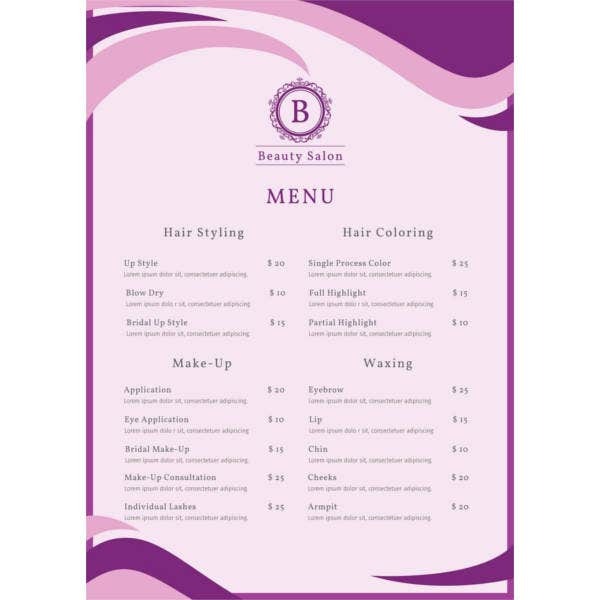 A well designed menu is a must if you want to appeal to your guests and customers. 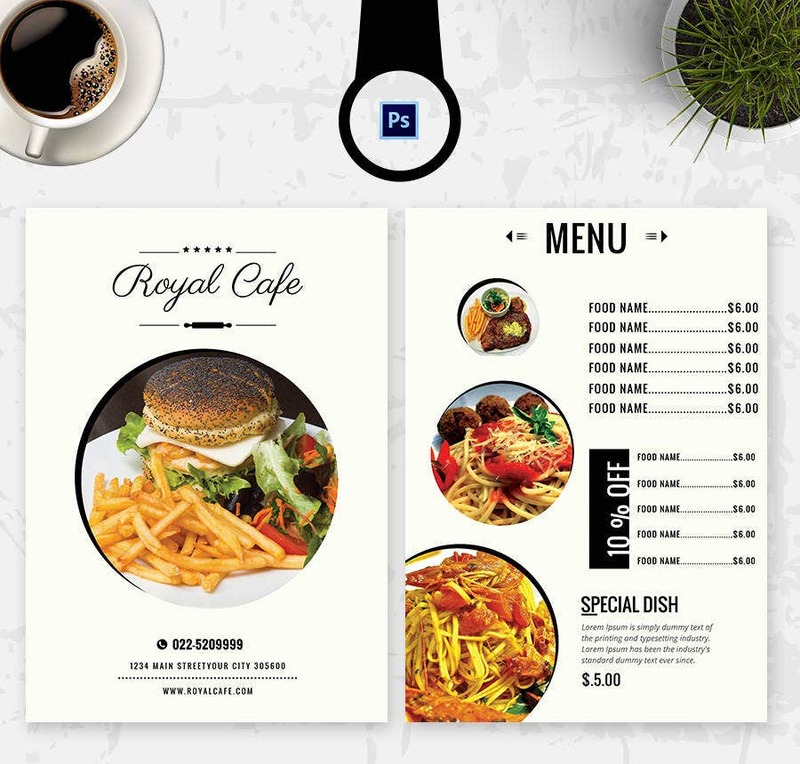 Each and every restaurants or cafes deserves a unique menu style. 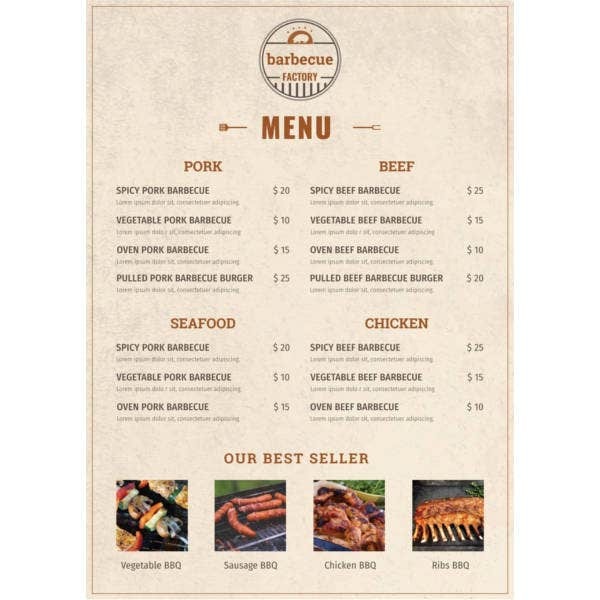 And for all your menu template needs you browse through the endless collection provided here and decide which one goes with your restaurant or diner. You can then go through the format provided here and use it. All you need to do is furnish the important information and customize as per your choice. 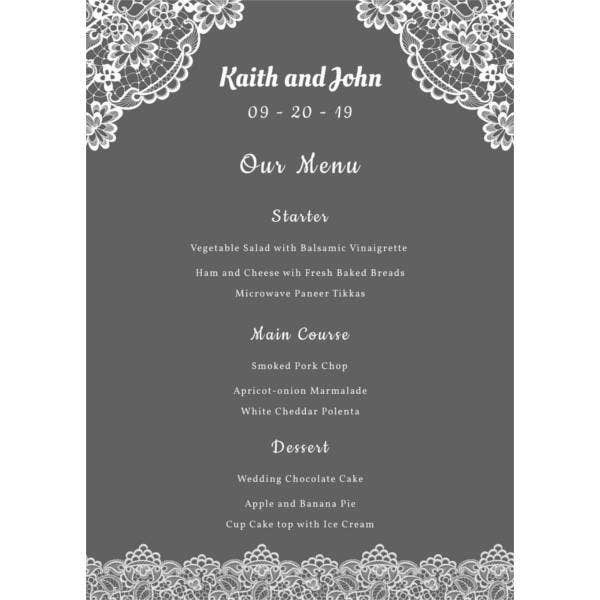 > What are the benefits of Menu Templates? 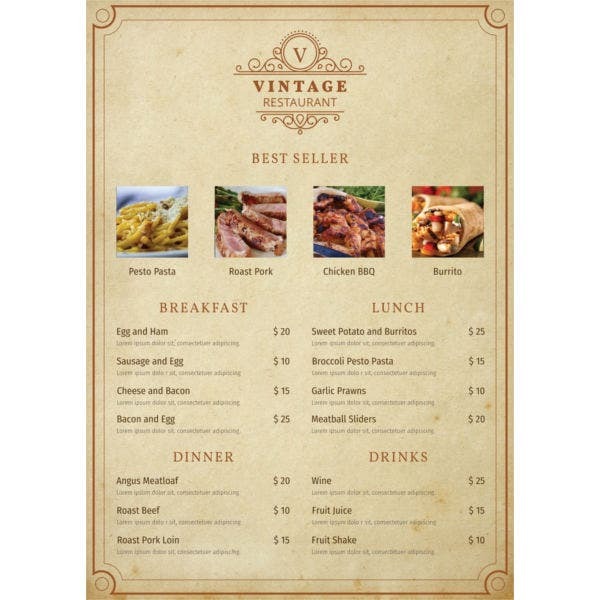 The menu templates you see here have been designed by the pros who know what your restaurant needs. You have a plethora of options to choose from. Also, since they are free, you can experiment with as many as you please. The templates are fully editable. That means you will be able to customise the templates as per your needs. The templates are easy to use as well.